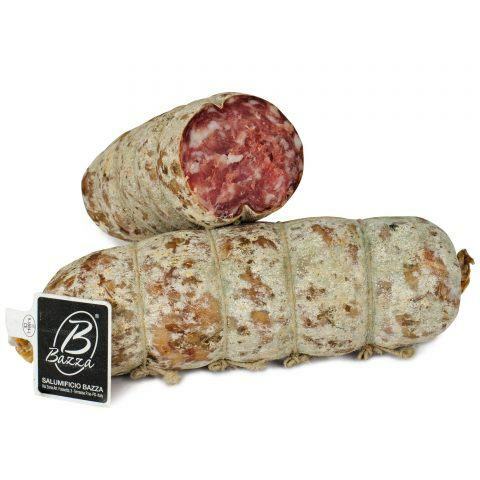 The Bazza Natural Salami with Garlic is traditionally produced in Veneto, in the north of Italy. 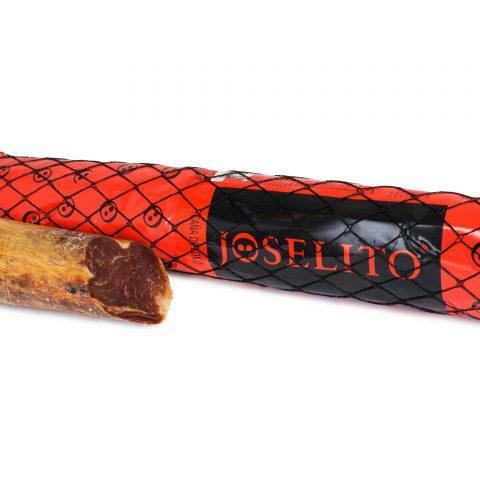 The particularity of this salami lies in its processing: only selected meat is used, together with sea salt, crushed pepper and garlic. It is then bagged and hand tied in natural casings, without preservatives. 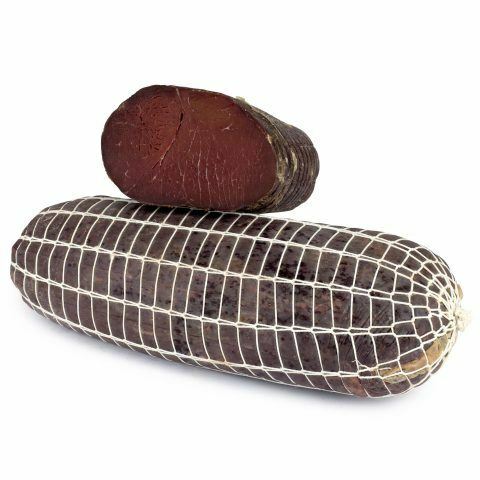 The Calabrian Soppressata PDO is a salami typical from Calabria, in the South of Italy. 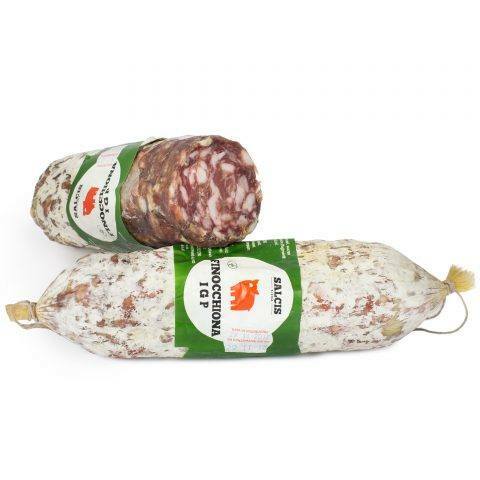 The distinctive characteristic of this product is its ingredients: pork meat, medium grinding, seasoned with chilli pepper from Calabria and bagged in natural casings. 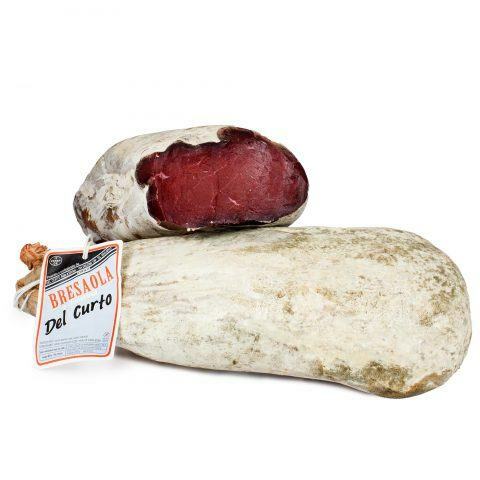 The Calabrian Soppressata has the PDO certification (Protected Designation of Origin). 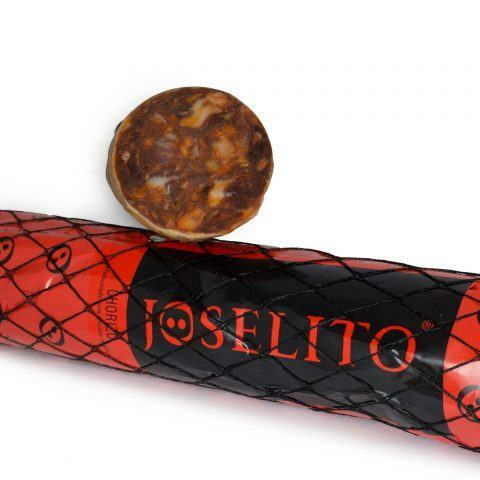 Chorizo is a salami made from pork meat, typical of Spain. The main feature of this product is its processing: a paste of grossly minced pork meat mixed with paprika and then left to dry in the open for 2 months. The Ibérico loin is a piece of meat typical from Spain. 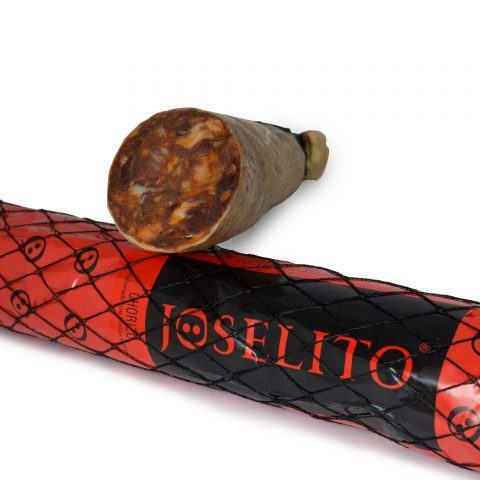 The main feature of this product is its processing: a paste of pork meat mixed with paprika, garlic and spices and then left to dry in the open for 3 months. 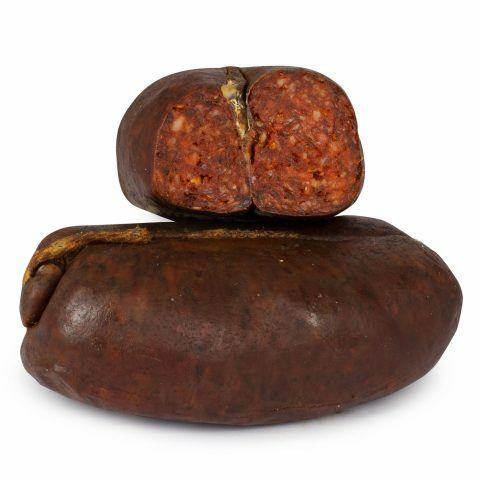 The Nduja from Spilinga is a salami made from pork meat, produced in Calabria. 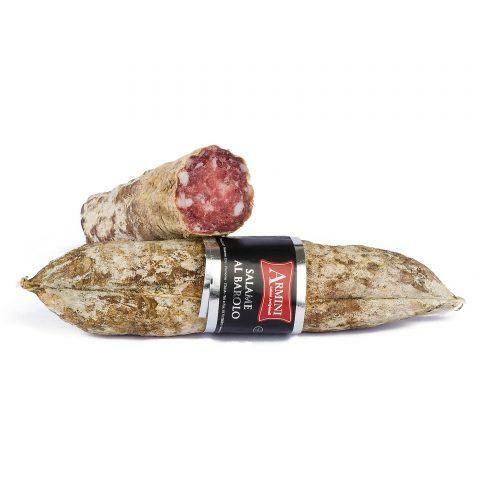 The singularity of this product is in its ingredients and its consistency: the casing is prepared by adding chilli pepper from Calabria and without any preservatives. Its soft texture makes it perfect to spread on bread or to use it as a main ingredient in typical local dishes. 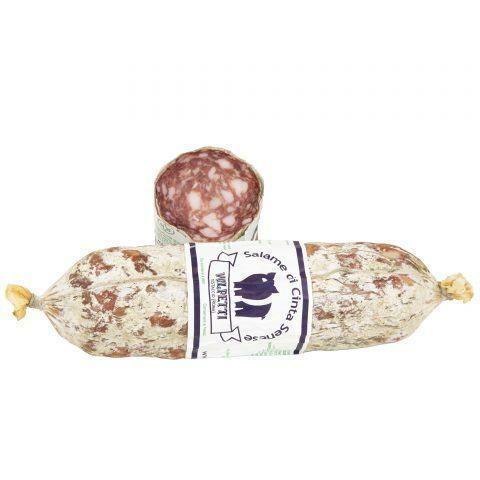 The Salami Finocchiona is a fennel-seasoned salami typical of Tuscany. The particularity of this product is its processing: minced pork meat, flavoured with fennel seeds and bathed in red wine. 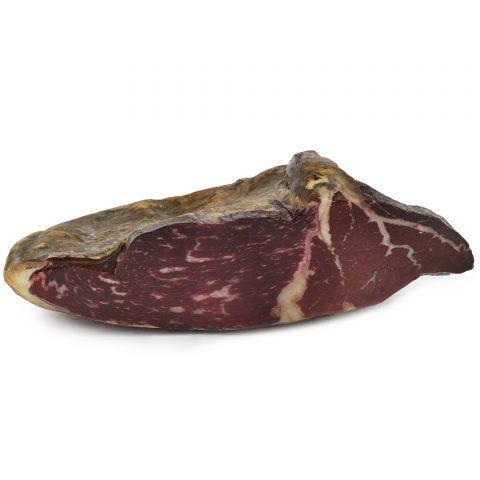 We recommend you taste it sliced on its own or together with cheese and wine. 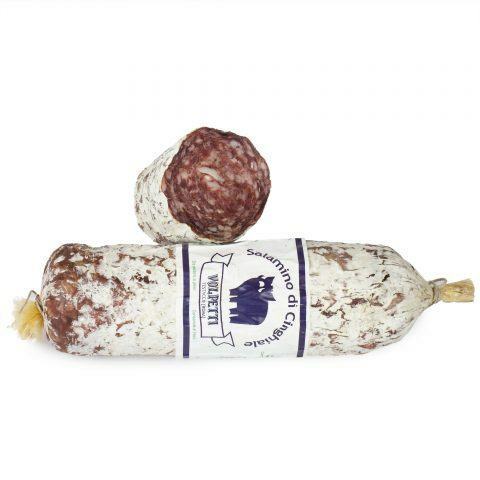 The Salami Cinta Senese is produced in the province of Siena, Tuscany. The Cinta Senese pigs are bred free-range specifically in the Siena province; their meat is tasty and have a small amount of fat compared to most Italian breeds. 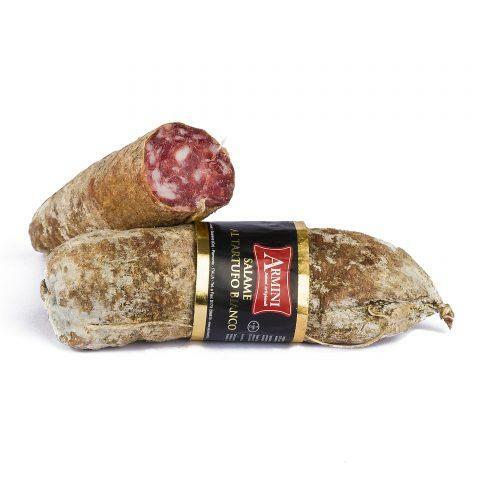 This wild boar salami is a typical product from Tuscany. Its main feature is in its ingredients: wild boar’s meat seasoned with garlic, pepper and spices. 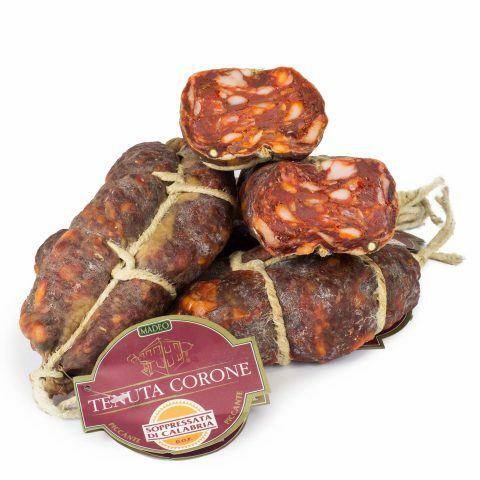 It is perfect to have on its own, as an aperitif or as an appetiser, combined with other typical products such as cheese and wine.